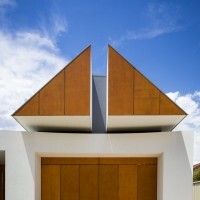 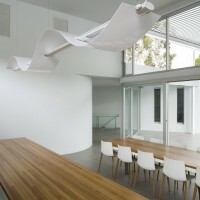 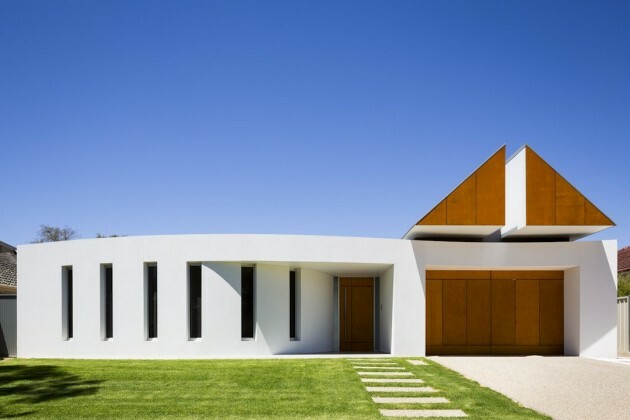 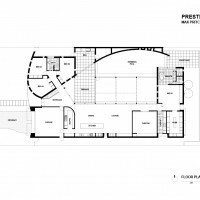 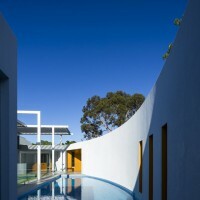 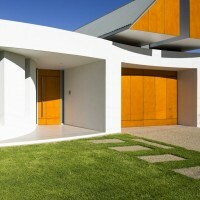 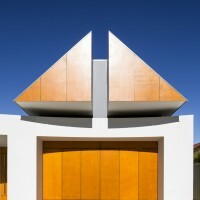 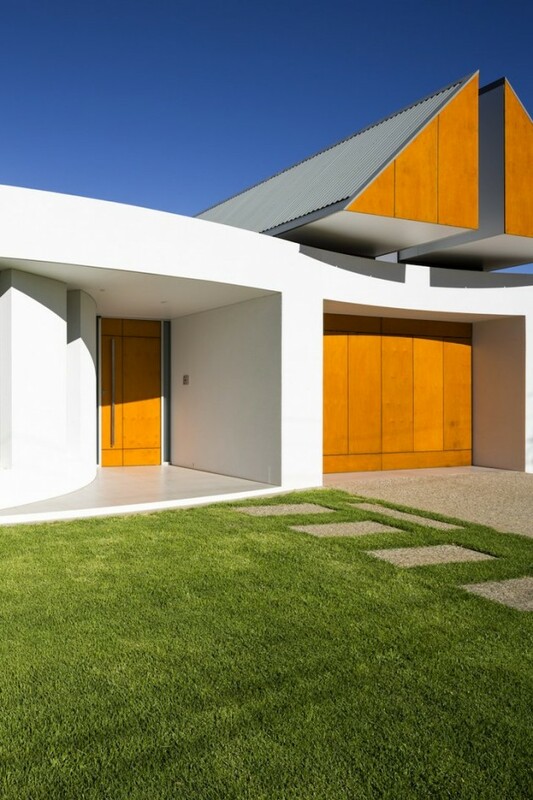 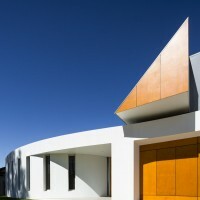 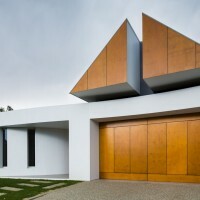 Max Pritchard Architects have recently completed the Prestipino House in Adelaide, South Australia. 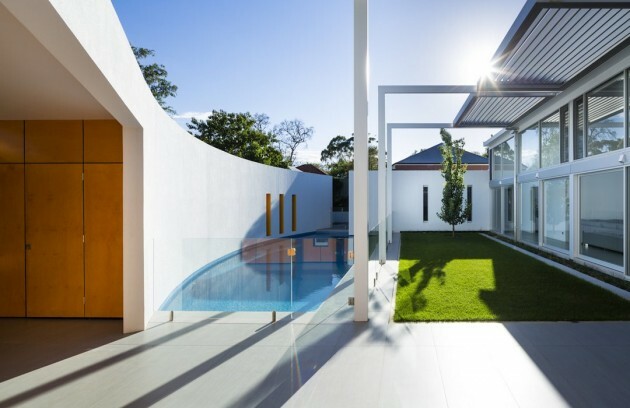 A relaxed house set in a leafy suburban street opens to a north facing courtyard and pool. 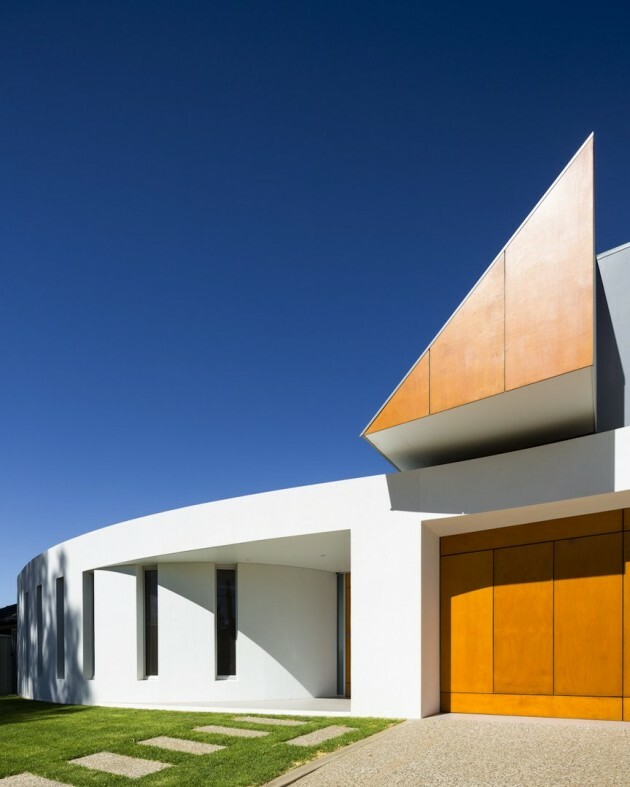 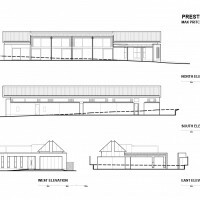 The street elevation plays on the traditional house form with the classic gable end of golden plywood cantilevering over the garage. 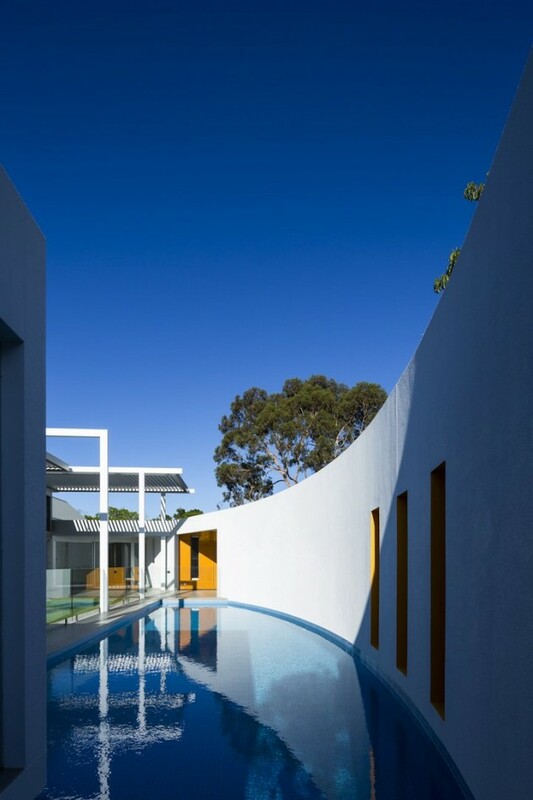 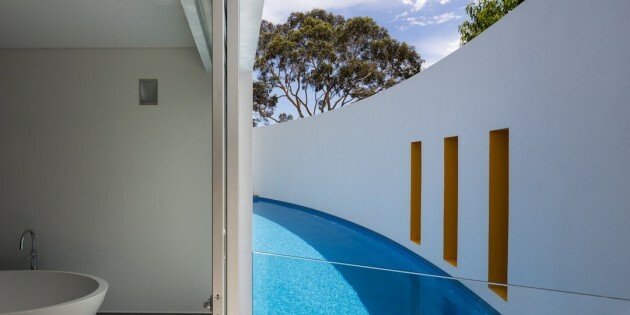 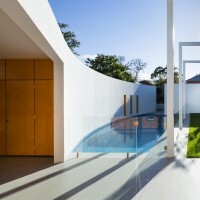 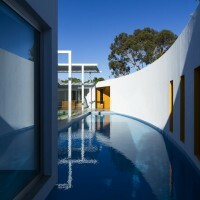 A sculptural white wall flows from the entrance through the courtyard where it forms the backdrop to the swimming pool. 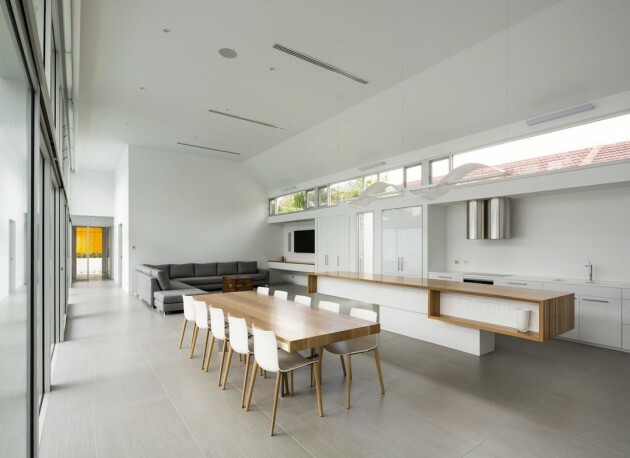 Recessed into this wall is the outdoor kitchen lined with golden plywood contrasting with the crisp white walls. 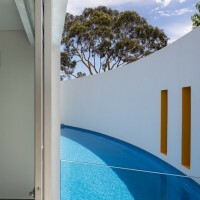 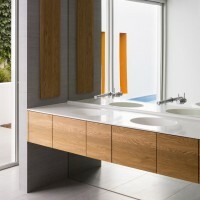 A generous master bedroom and ensuite cantilever over the end of the pool. 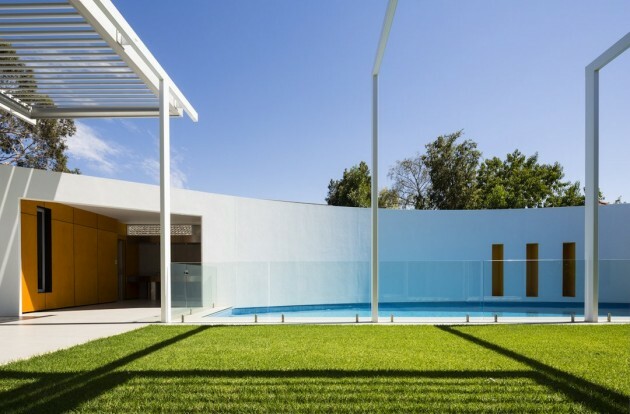 High operable louvres create flexible outdoor spaces and options for shading the living area. 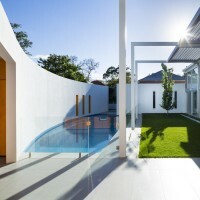 The lofty open plan living area is orientated to the courtyard and pool. 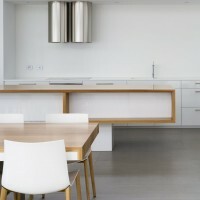 A restrained palette of white, plywood, timber, stainless steel and stone greys have been used throughout the house to give it a relaxed ‘resort’ feel. 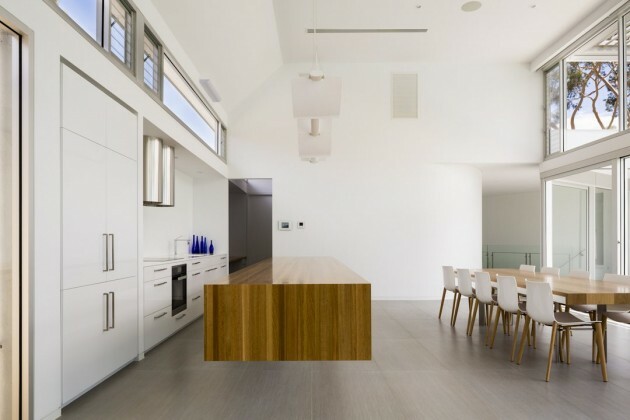 A dramatic cantilever bench in the kitchen is wrapped in timber and is matched with a bespoke dining table incorporating the detailing of the island bench. 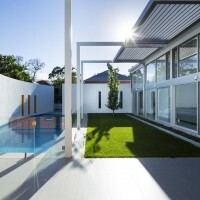 The low maintenance outdoor space is landscaped to match the clean minimal internal spaces with lawn and carefully positioned trees and plantings.